Dimensions 0.25 by 4.75 by 7.25 in. A holiday classic captures a child's-eye-view and adult's warm remembrances of the holiday season landscape, portraying a time of gift giving, good things to eat, and newly fallen snow. Reissue. NYT. Amazon.com description: Product Description: A holiday classic in an elegant New Directions edition. 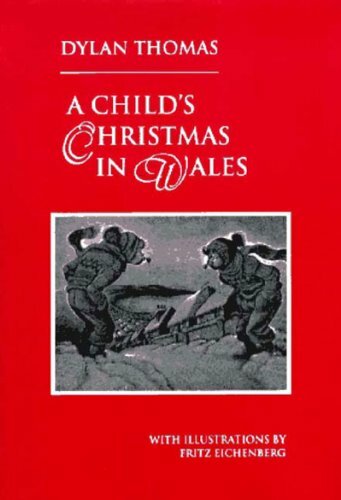 With lovely poetic lilt, this simple tale captures the child-eye view and an adult's warm remembrance of the time of presents, good things to eat, and, in the best of circumstances, newly-fallen snow-its wonder and its snowball mischief. This elegant and beautifully designed New Directions edition of Thomas's holiday classic features evocative woodcut illustrations by the noted artist Fritz Eichenberg.